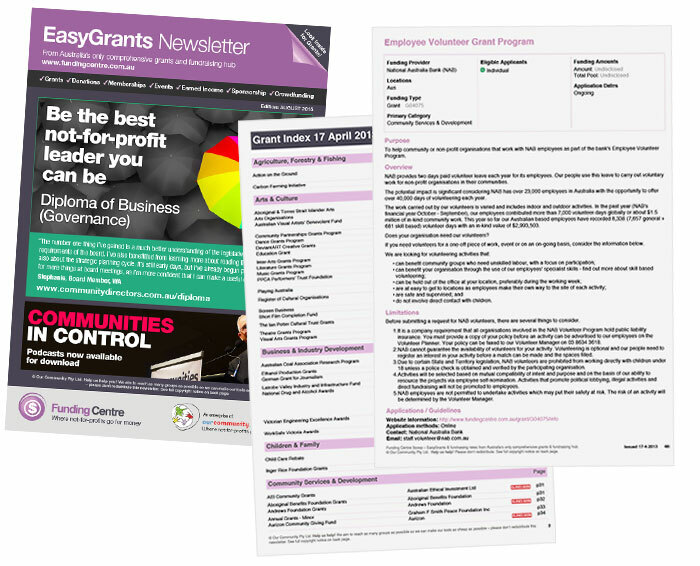 EasyGrants is the newsletter of the Funding Centre (and Australia's best tool for finding out about grants and fundraising) designed and priced for Not-for-Profits and schools. Information in EasyGrants is based on the most comprehensive and current database of grants available in Australia. Through our scaled pricing structure, we've worked to ensure that EasyGrants is affordable to anyone who needs it - from the smallest community group to the biggest business.